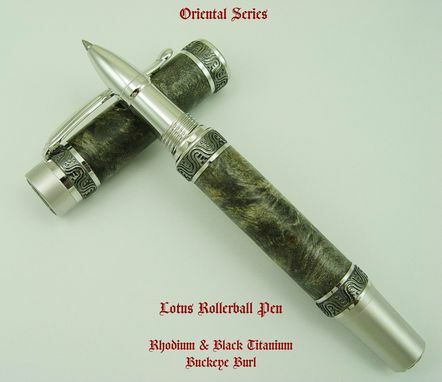 This is a beautiful, top of the line, hand made rollerball pen. Its size is 5/8" dia. x 5 3/4" long and is fitted with a Schmidt ceramic tipped cartridge for smooth, effortless writing. Pen fittings are rhodium with black titanium accents. This Lotus Rollerball pen is a match for the Lotus Fountain Pen. As with all high quality pens the cap is not designed to be posted it should be placed vertically on the desk to be admired. 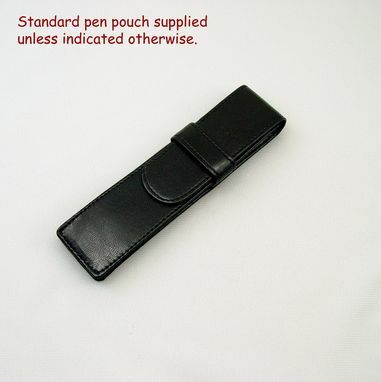 This pen comes with an attractive black pen pouch.